Do you have a book just waiting to get on the shelf of a bookstore? Happy House Publishing Company is looking for talented new authors in 2012. Industry leaders predicted what will happen in the publishing world in 2012. We listened! Readers are tired of the same authors writing cliched books and we are too. That’s why we’re looking for fresh authors with untold stories. We don’t think that you have to have a literary agent in order to sell books. If you have a book, it should be in the hands of happy readers. That’s why Happy House works exclusively with unsigned writers. 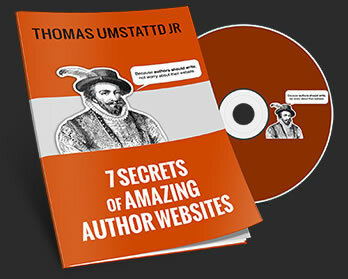 Print your book and turn it into a best seller! Jill, we’re really excited about seeing your new manuscript. If you want to become the next best-selling author, join us at Happy House. Our formula is simple = happy readers + happy house publishing = a rich, happy author. Wouldn’t you like to be a rich, happy author? Have you ever gotten an email like that? I have. No author ever thinks they will be the next victim in a scam. But every year, hundreds of authors fall prey to unsavory publishing houses that bilk them out of their creative work and their money. It often starts off with an email that seems too good to be true. The three “Happy House” fees are classic signs of a publishing scam. Don’t become the next victim. This is one of the oldest scams. Yet new authors fall for it time and time again. You should never have to pay to get a publisher or an agent to read your work. Never, ever, ever. Get this through your head. Many scammers will try to lure new writers in a “small reading fee.” A reputable agent and publishing house will never ask you to pay for them to read your manuscript. The bottom line is that a real publishing company does not get paid until your book is published. That’s why they are so interested in selling your book. You should never pay to be published. If you are asked to pay a printing fee, you aren’t being published by a legitimate company. If you are asked to pay hundreds or thousands of dollars in order to get your book in print, run away! They often lure writers in with the promise of recouping the money once the book begins to sell. These scams are called “co-op” or “joint-venture” because often the company will promise to match the authors monetary contribution. If you are self-publishing, there will be fees that you will have to pay. That’s to be expected. But if you are going through a legitimate traditional publishing company, you should not pay for your book to be printed. Scammers prey on the tech unsavvy. They ask you to pay them to list your book on Amazon. Many authors don’t realize that it only takes a few clicks of the mouse to be able to sell your book on Amazon and a few more to get sell their e-book on Barnes & Noble. Fake publishing companies will make it sound like a complicated process but it isn’t. The majority of authors who have self-published e-books have done it already. Happy House was wrong about Amazon. Authors don’t have to bow down to Amazon. It’s smart to have your book for sale on Amazon but it’s even smarter to have your own webstore. Ask us how we can help you set up your online store. Happy House is a fictional scam but there are hundreds of real ones out there. Learn how to spot them so you aren’t the next victim. Fake companies may have websites and social media avenues. Do your research. One simple way to test is to google “(company name) publishing scam” and see what kind of hits you get. The only people who are happy at places like Happy House are the scammers. They are laughing all the way to the bank. That’s why it’s so important to learn about the publishing process. Read 3 Baby Steps To Get Your Book Published to get started. Then read the 2012 Publishing Predictions. Don’t get scammed. What are some other signs of a publishing scam? What are some other services you shouldn’t have to pay for? Author Media helps authors build their online platform. Find out how we can help you.